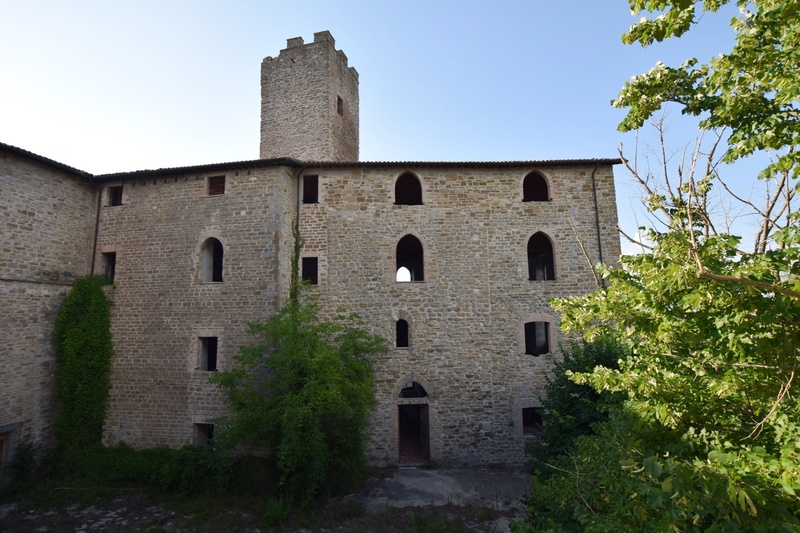 The castle, an imposing structure, composed of two large main bodies joined on one side; with the latest restructuring that involved safety and seismic upgrading, it was set up to allow for a highly luxurious accommodation development. 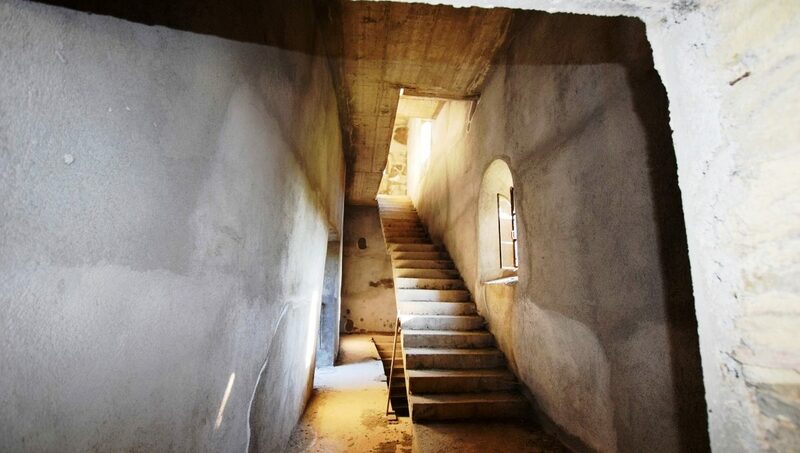 The large interior spaces are spread over four floors in the basement there is an immense salon designed for use in restaurants or conferences with laundry rooms or other, on the ground floor there are four large rooms where you can expect various uses, on the first floor there are twelve large rooms all equipped with internal bathroom, on the second floor there are eighteen rooms, even those on the first floor, while on the third floor there are only six rooms. 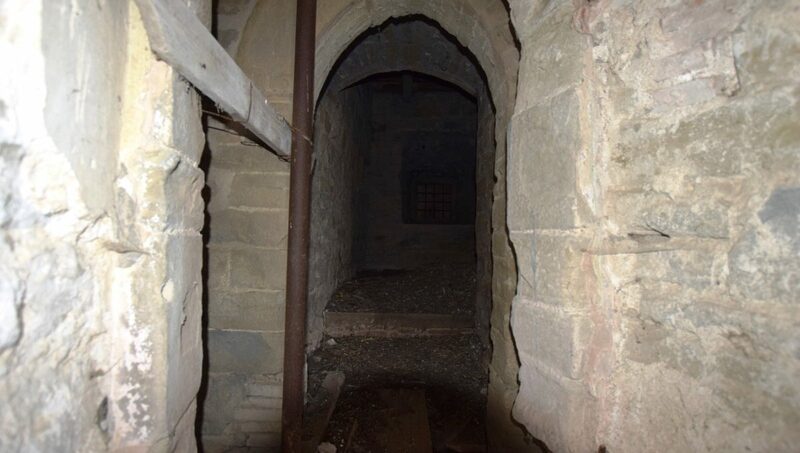 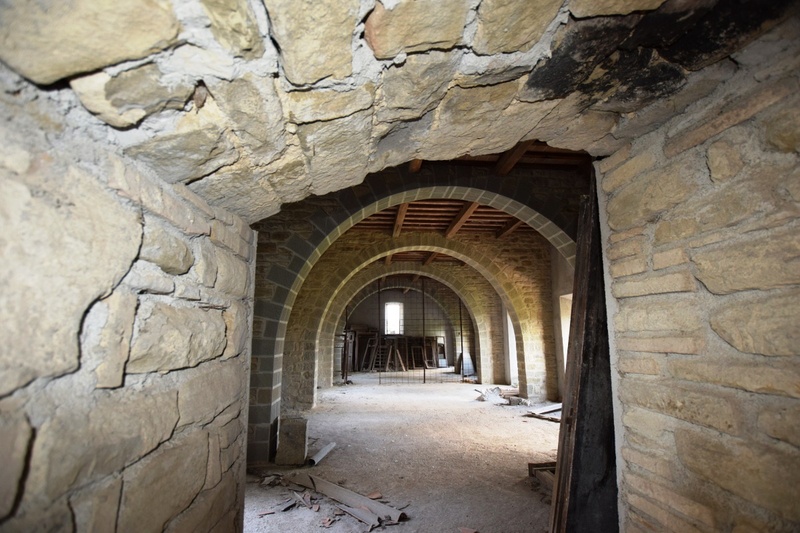 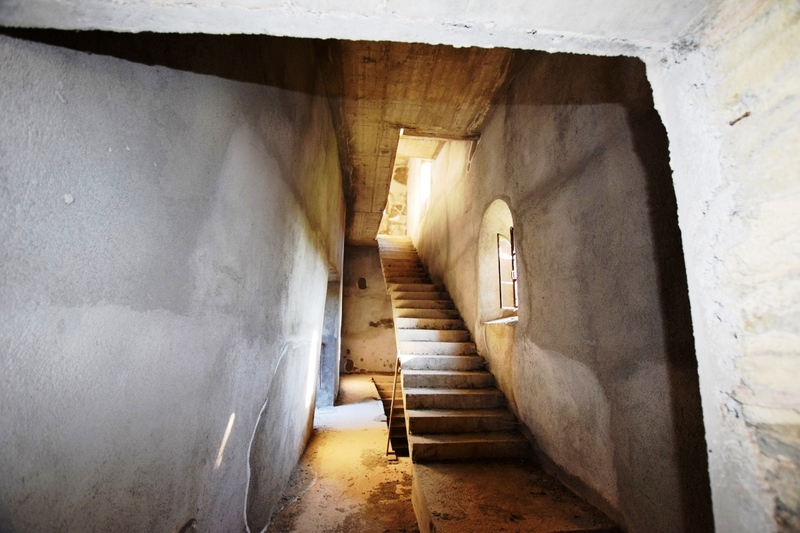 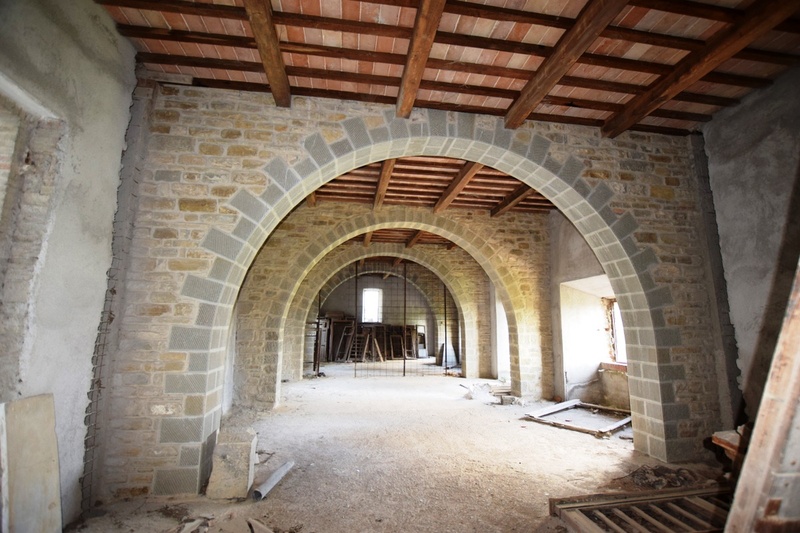 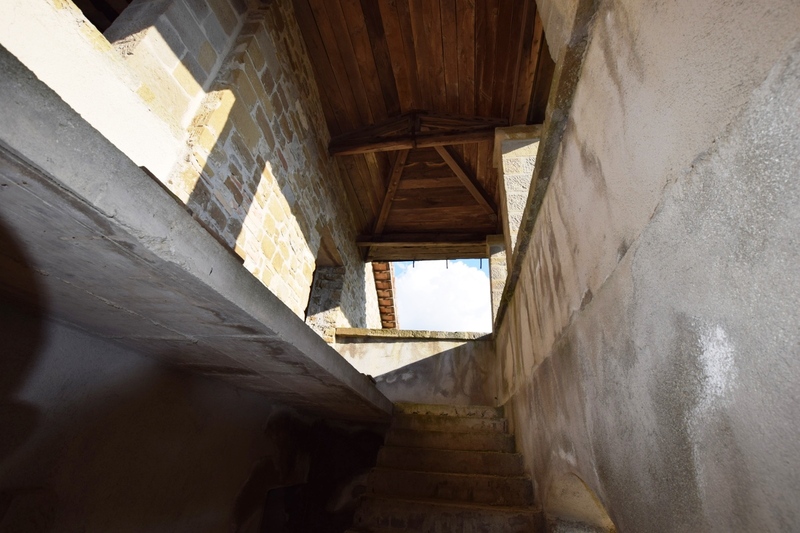 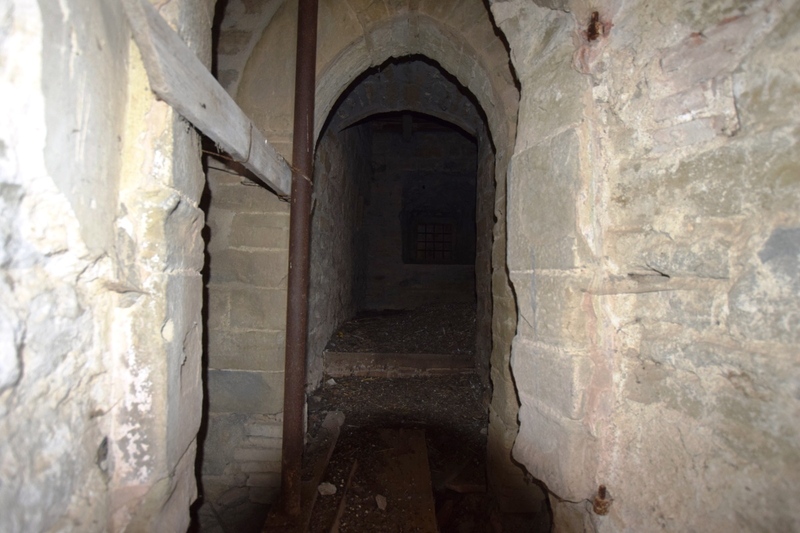 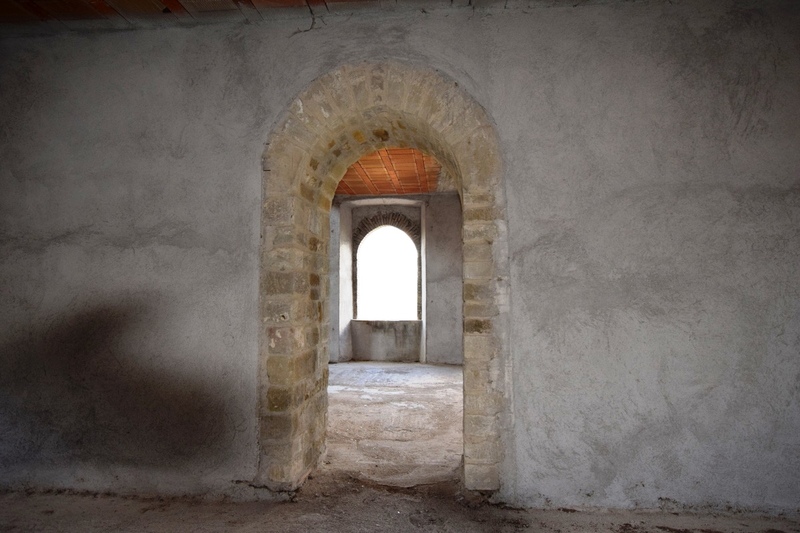 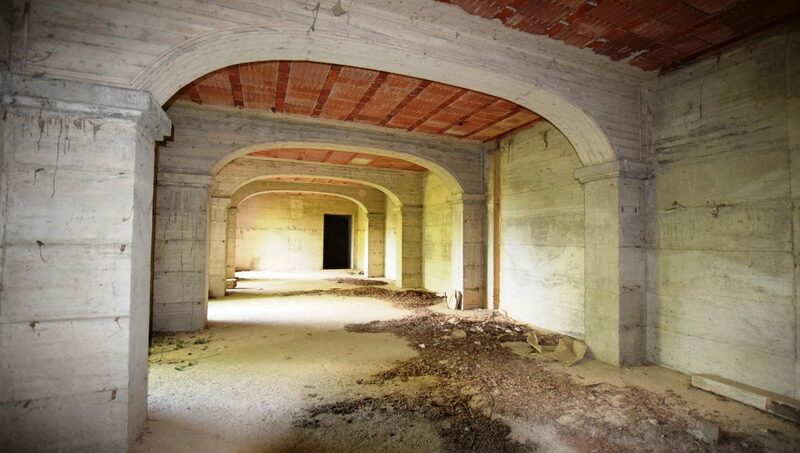 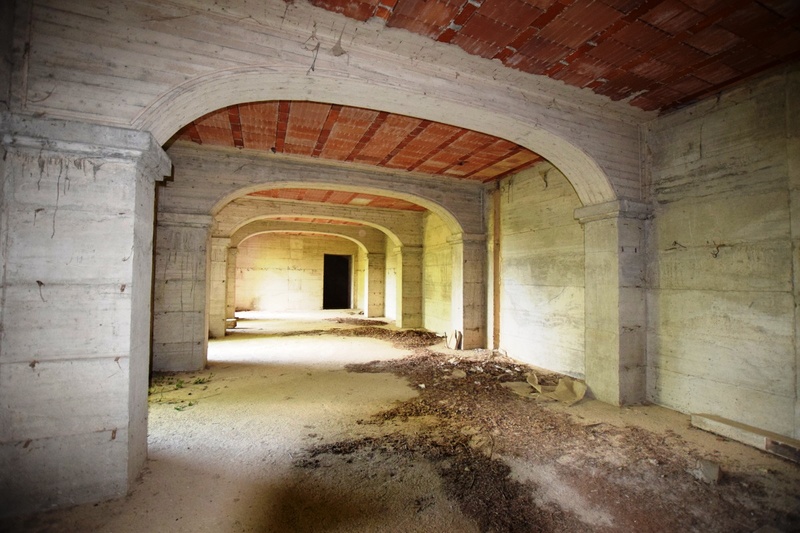 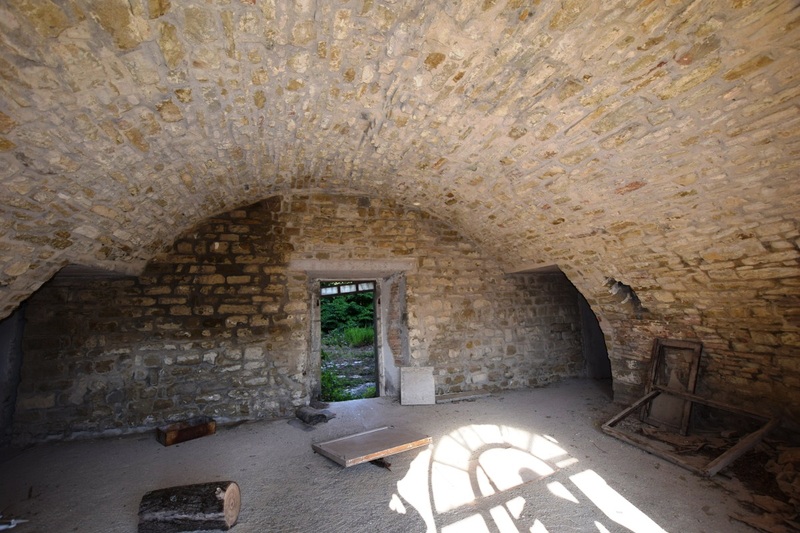 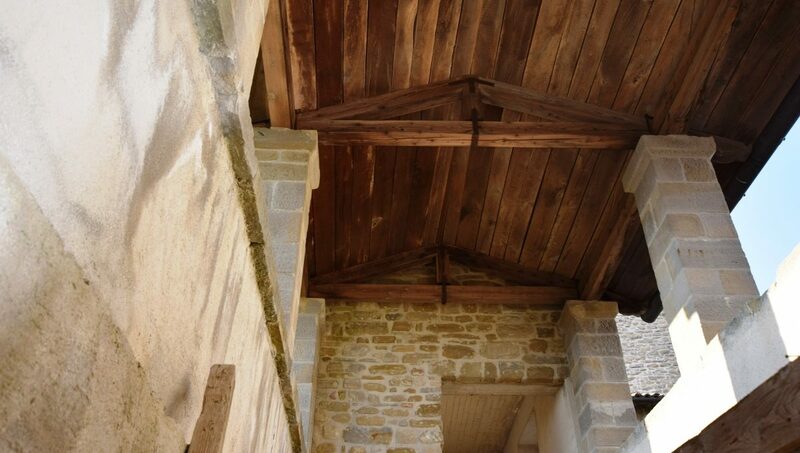 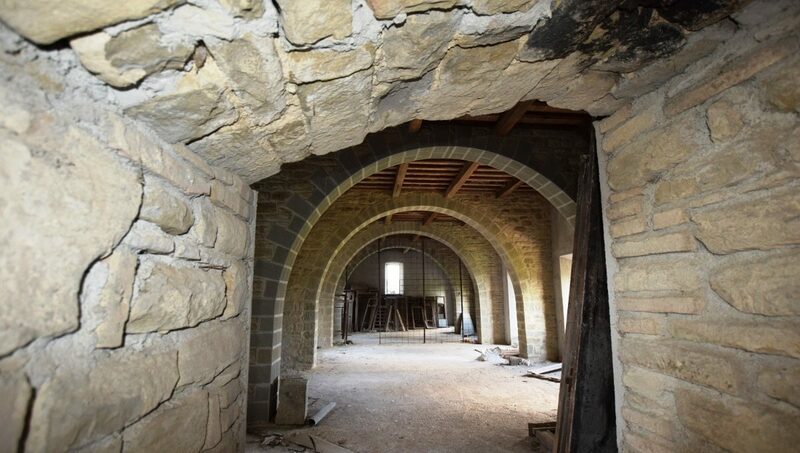 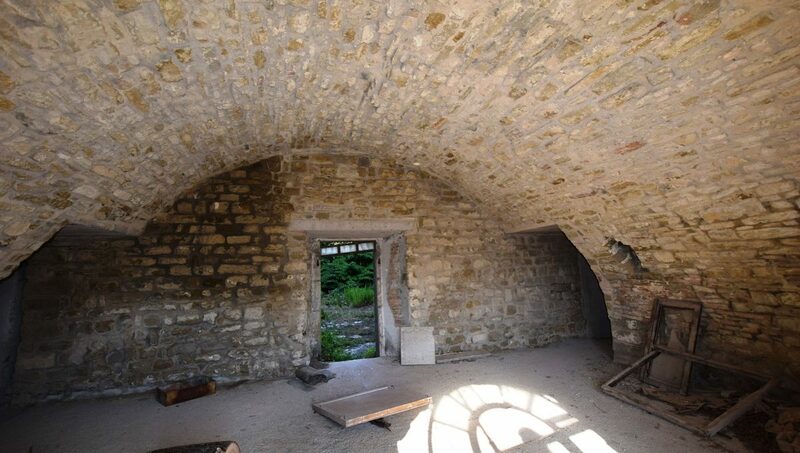 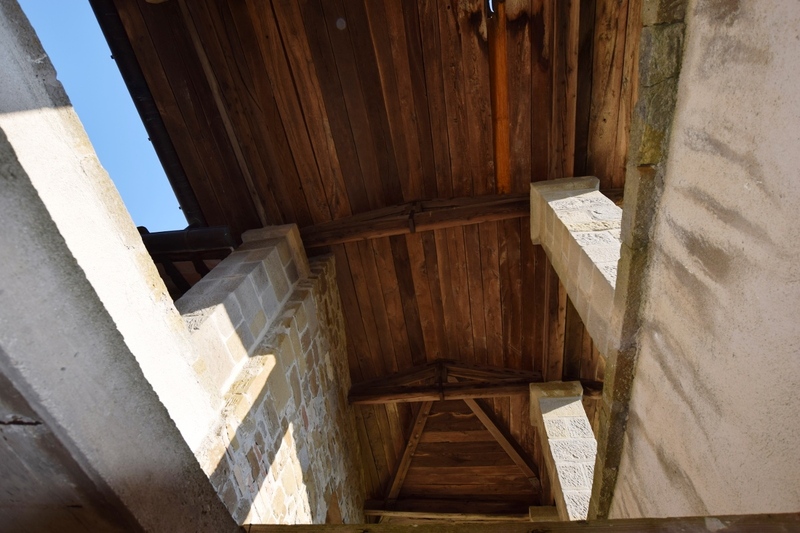 The castle has a whole part to be restored that is composed of many rooms that were certainly used by servants or courtiers with a church attached. 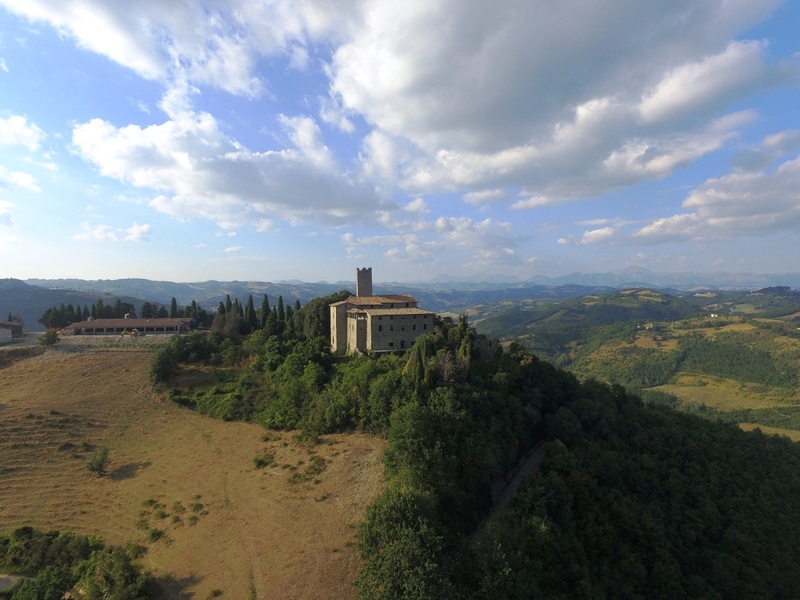 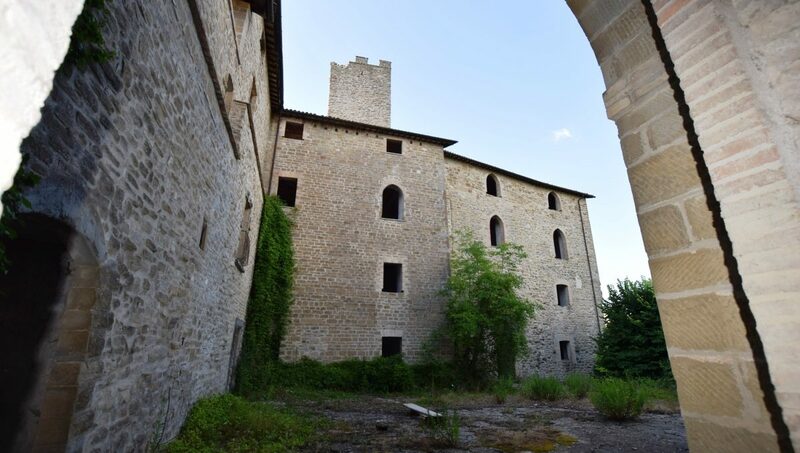 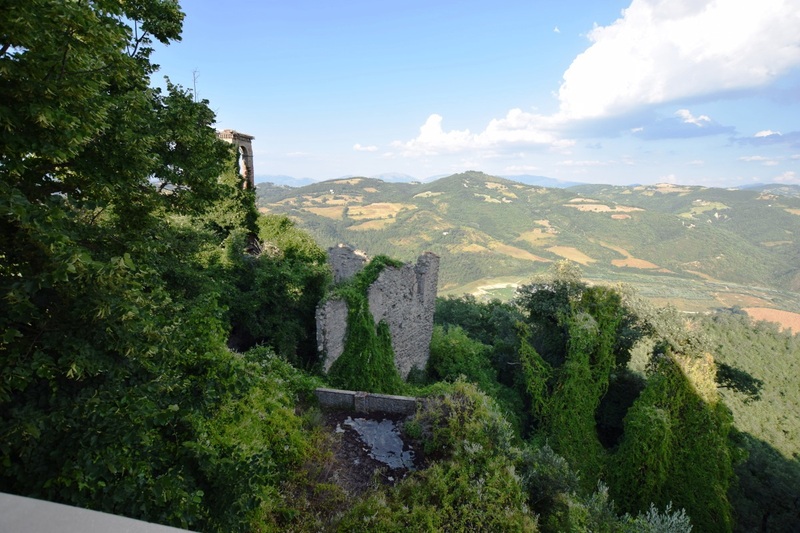 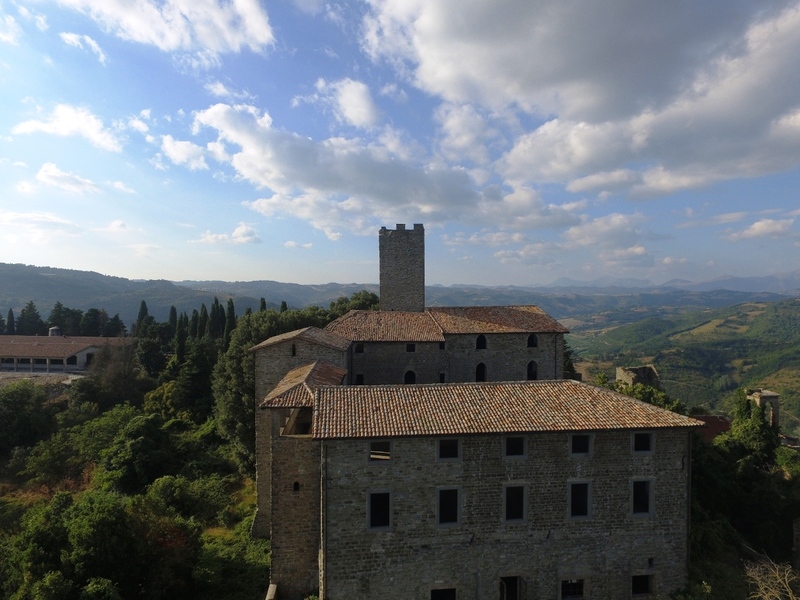 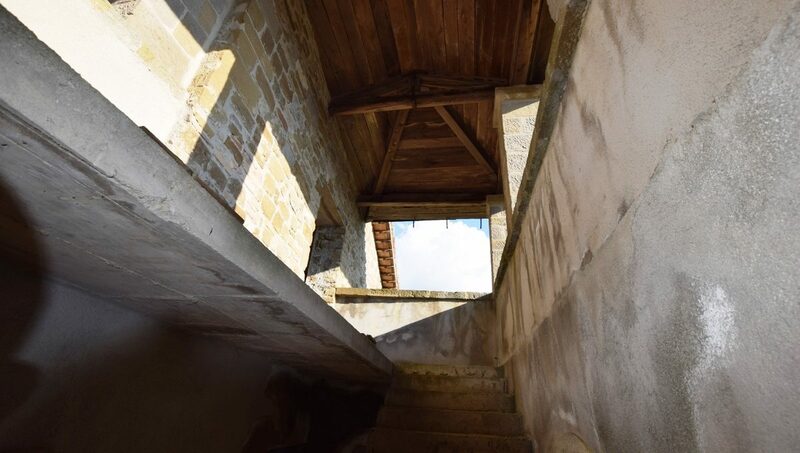 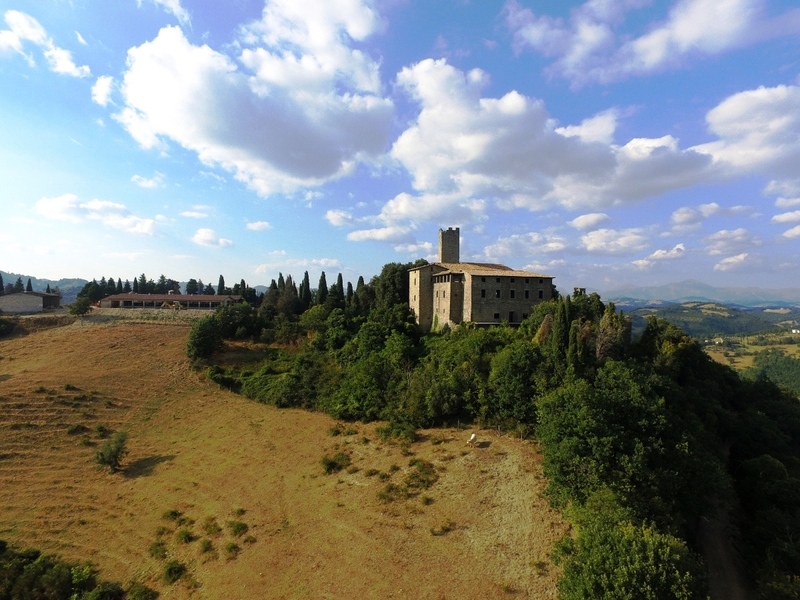 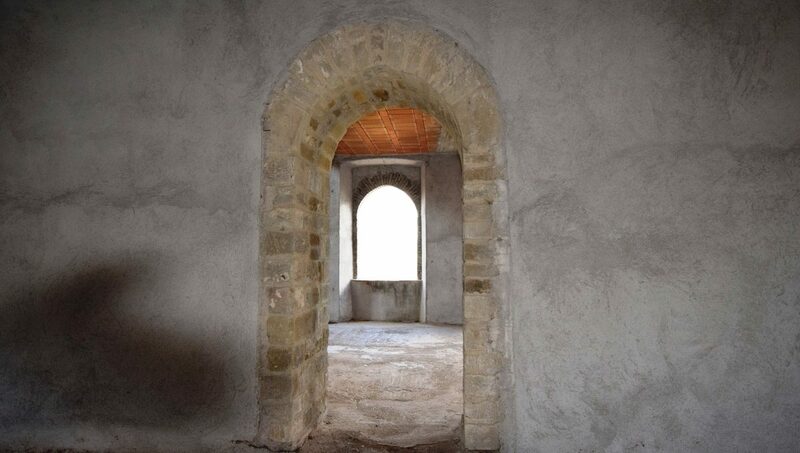 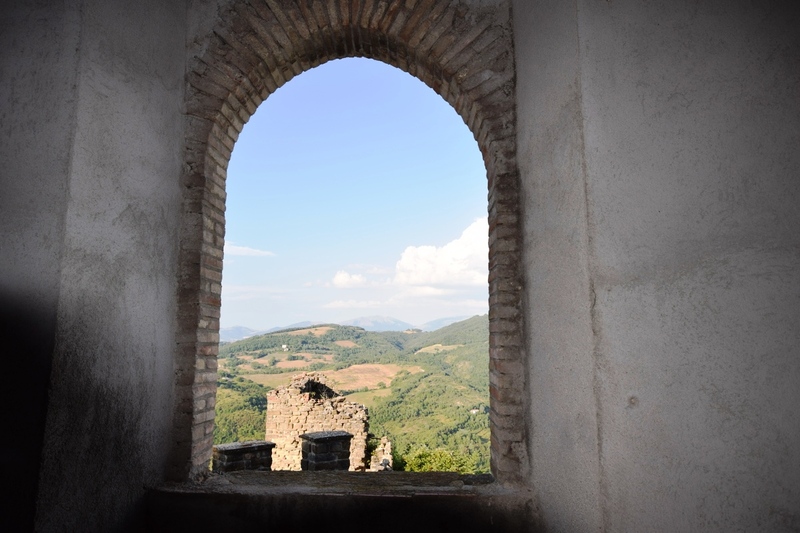 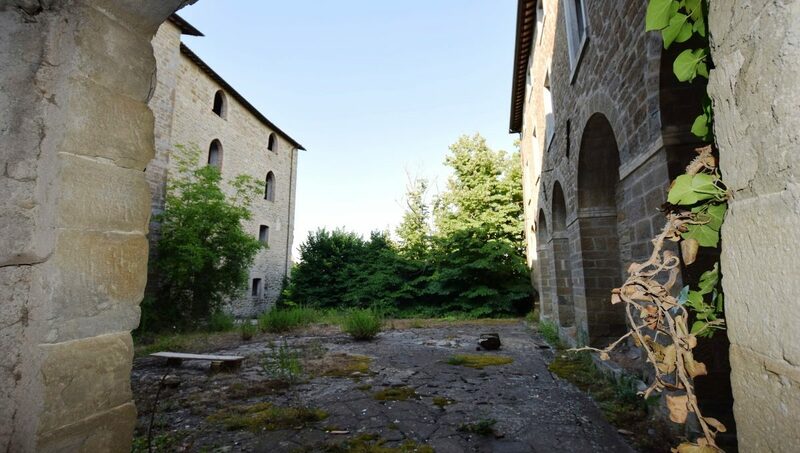 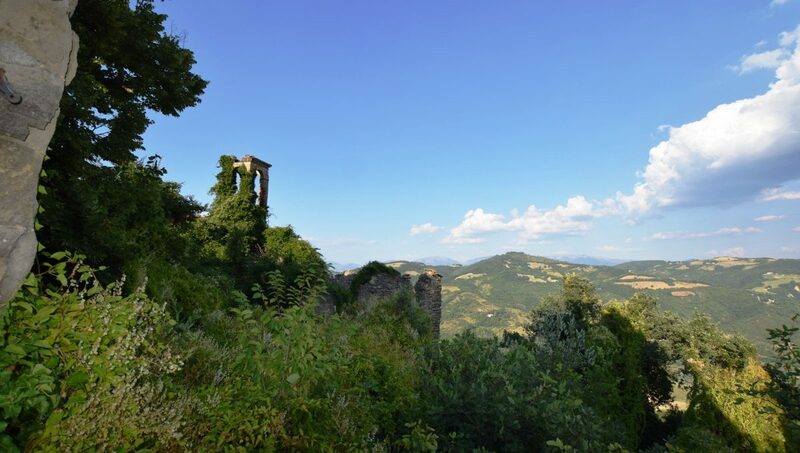 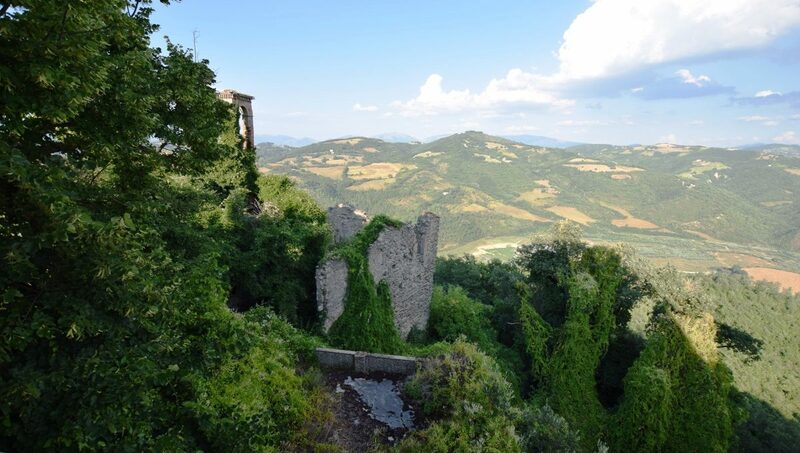 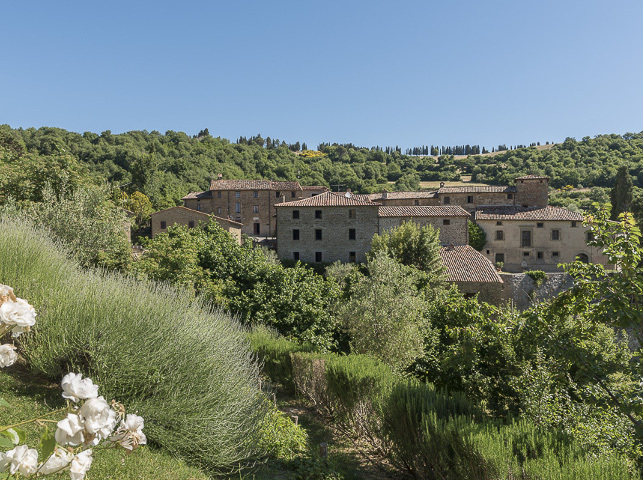 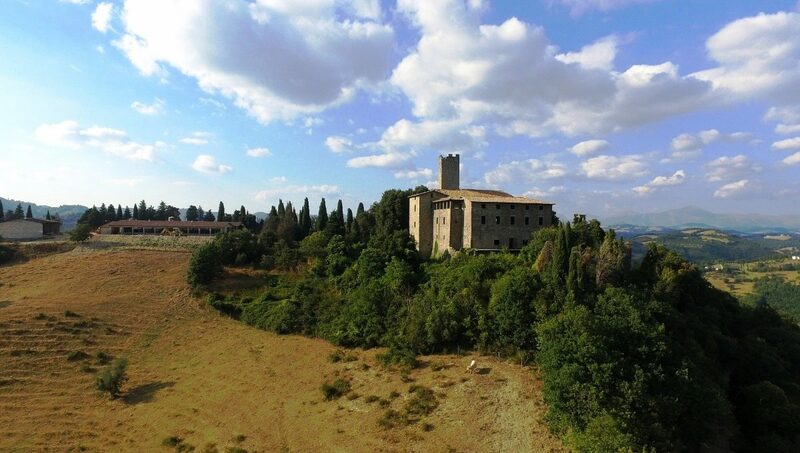 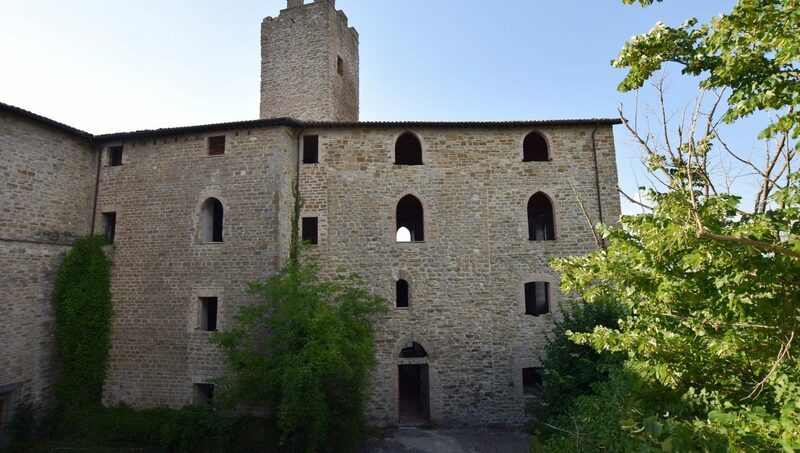 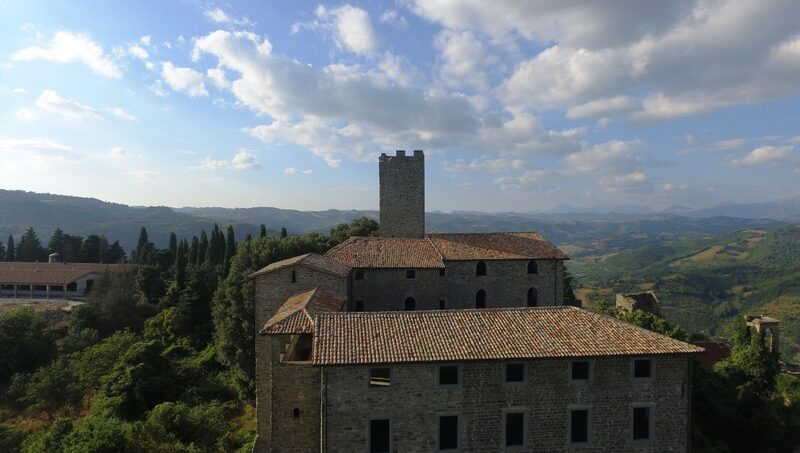 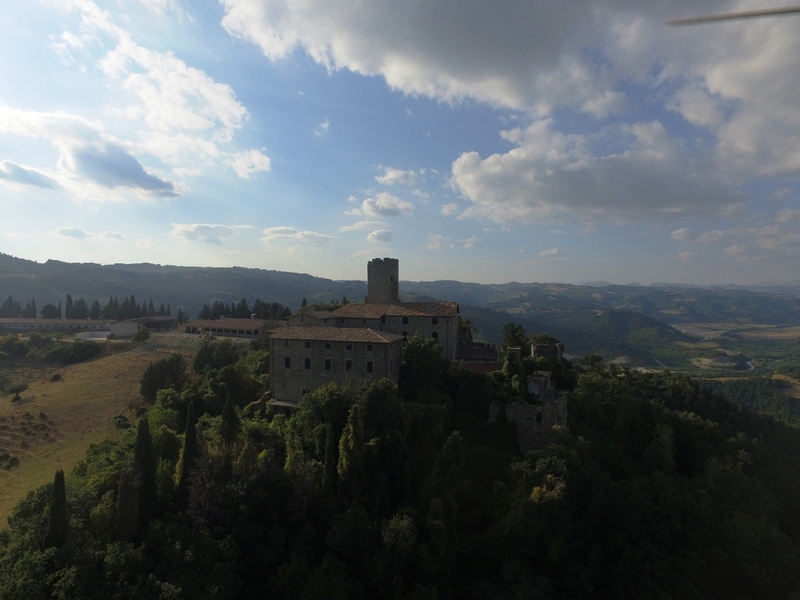 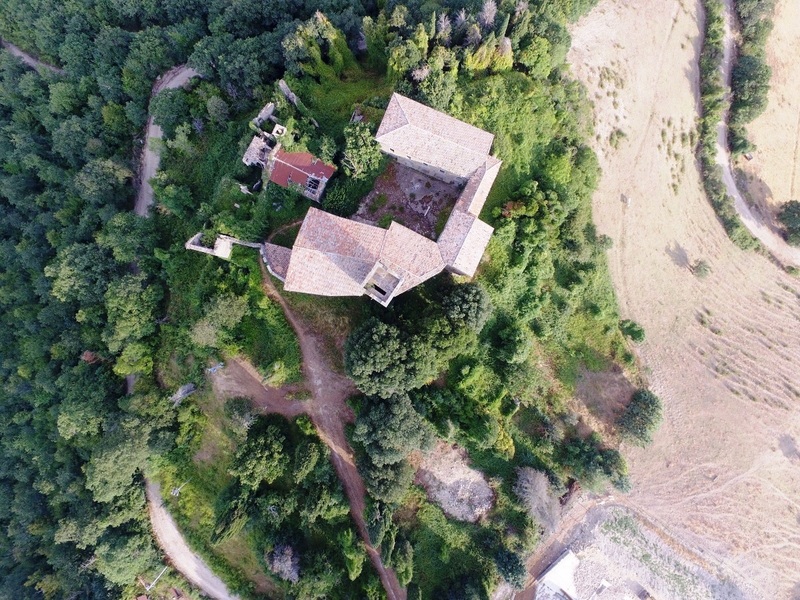 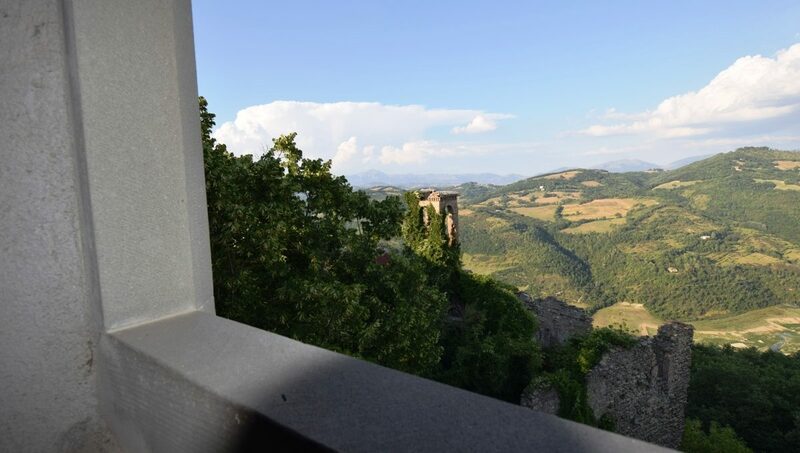 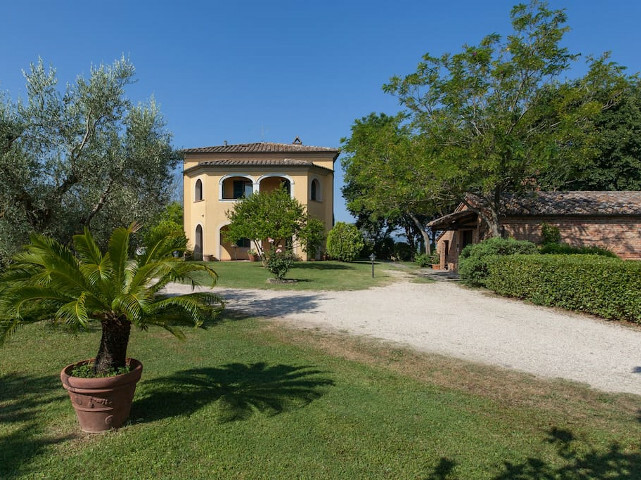 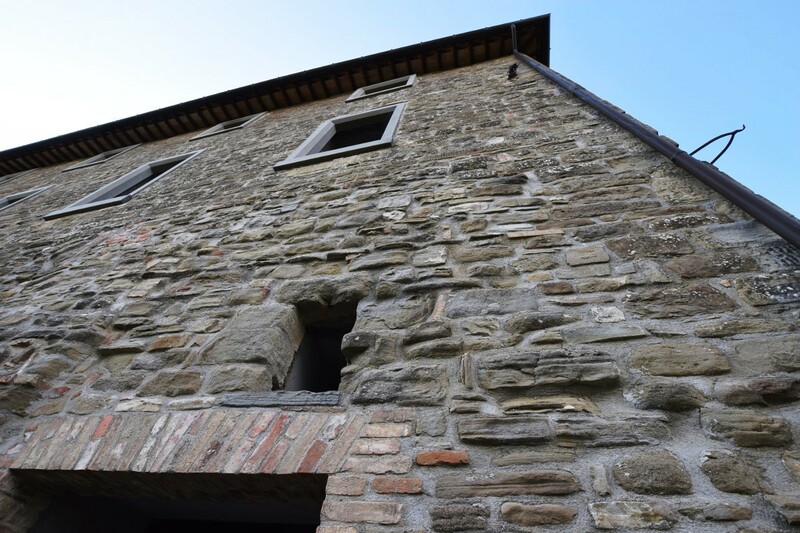 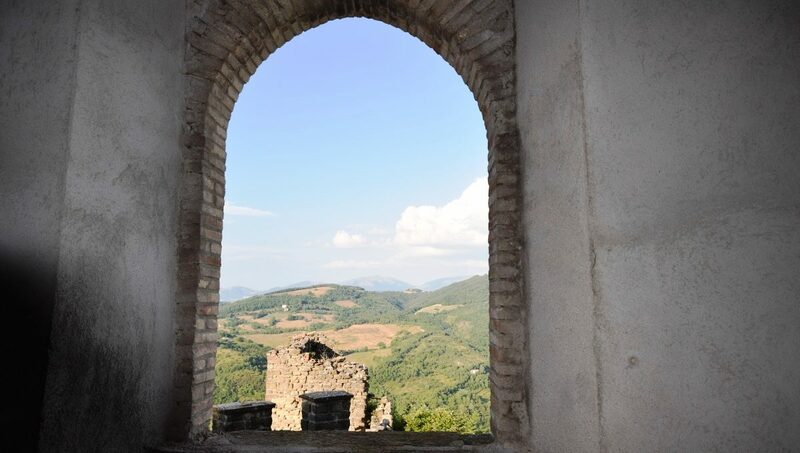 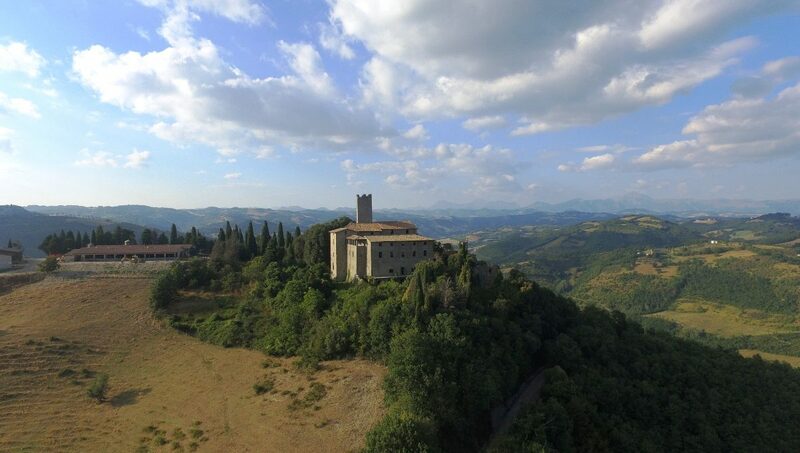 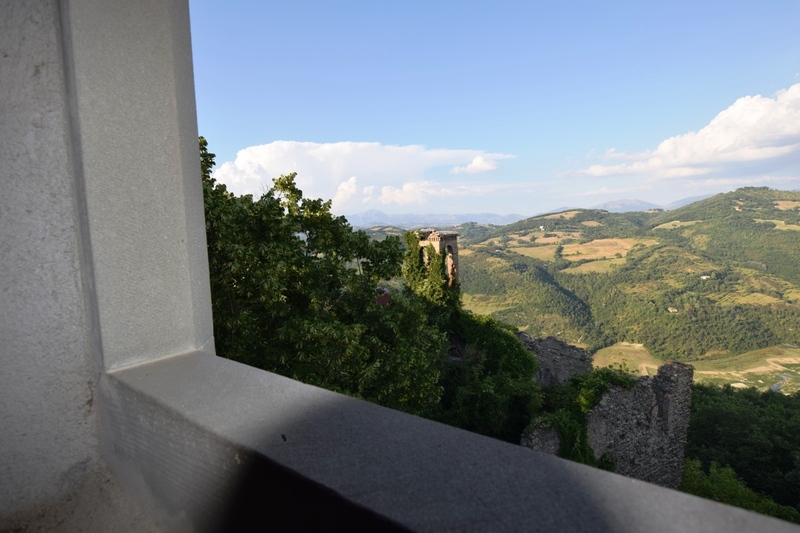 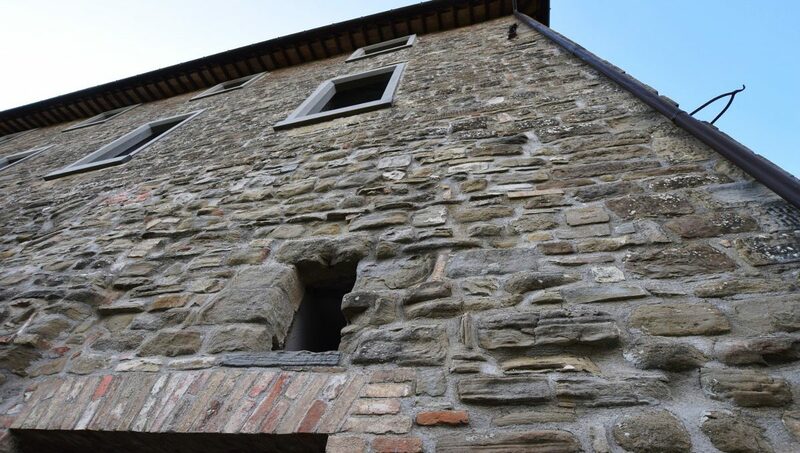 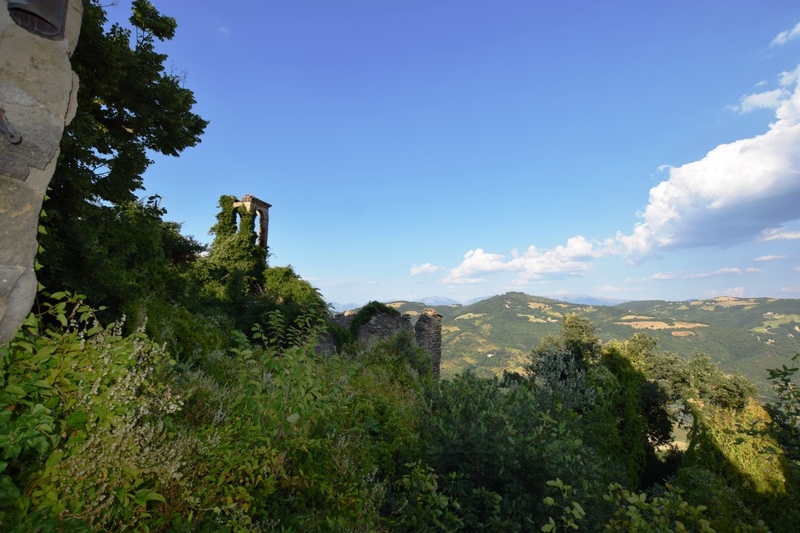 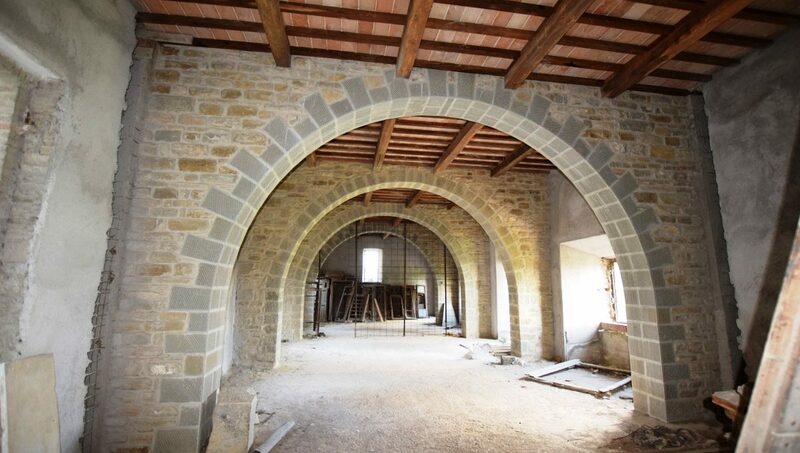 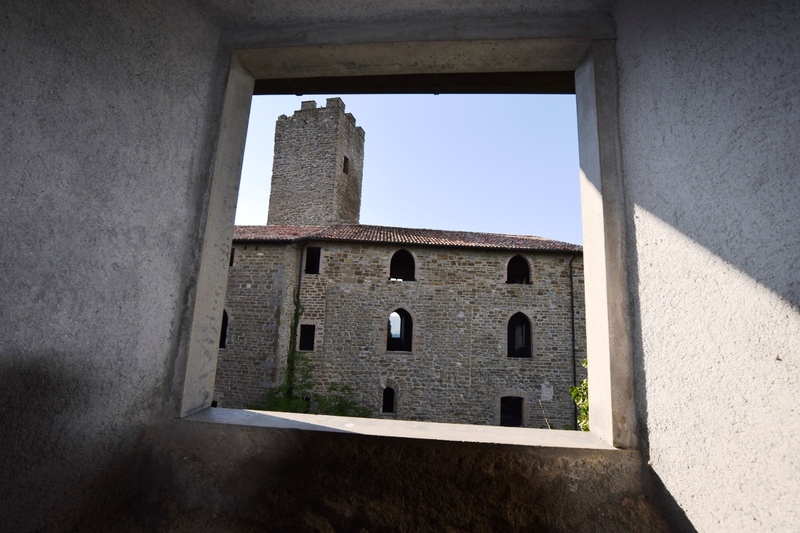 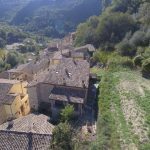 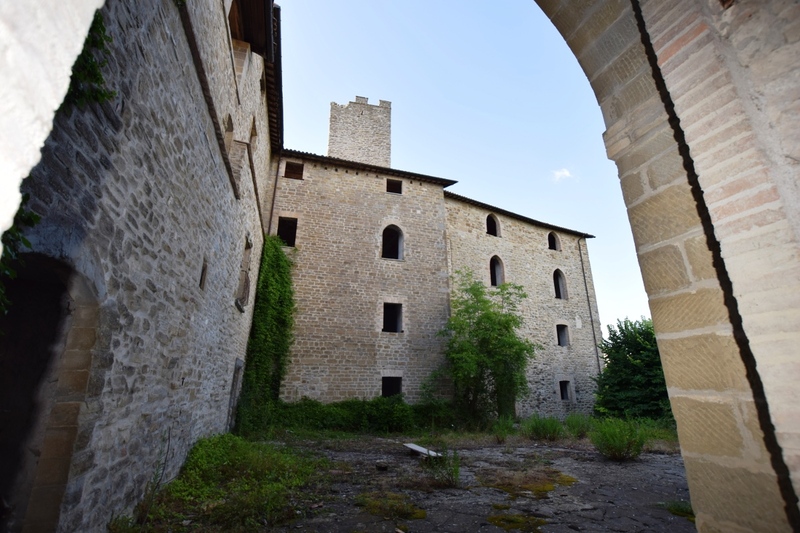 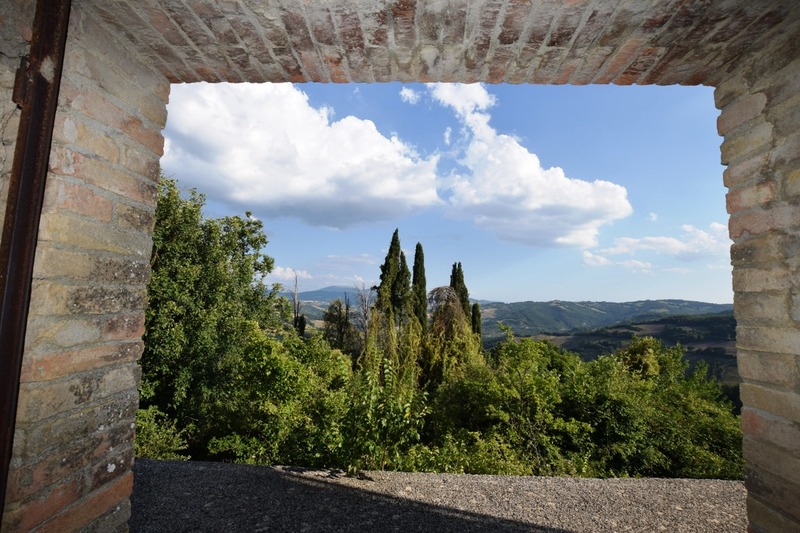 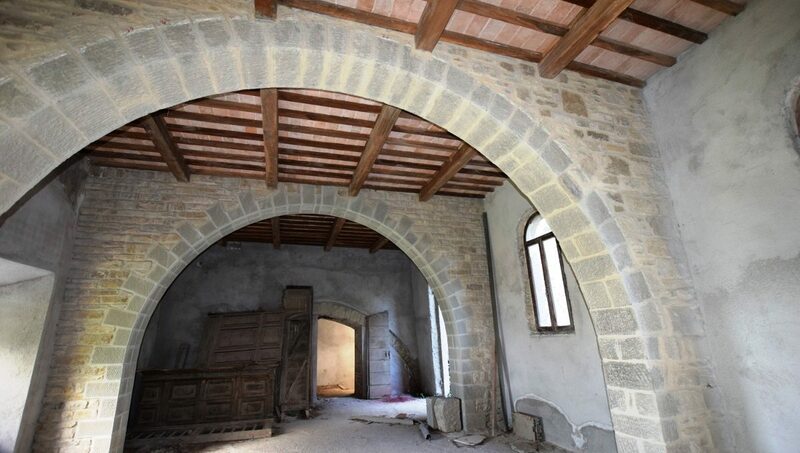 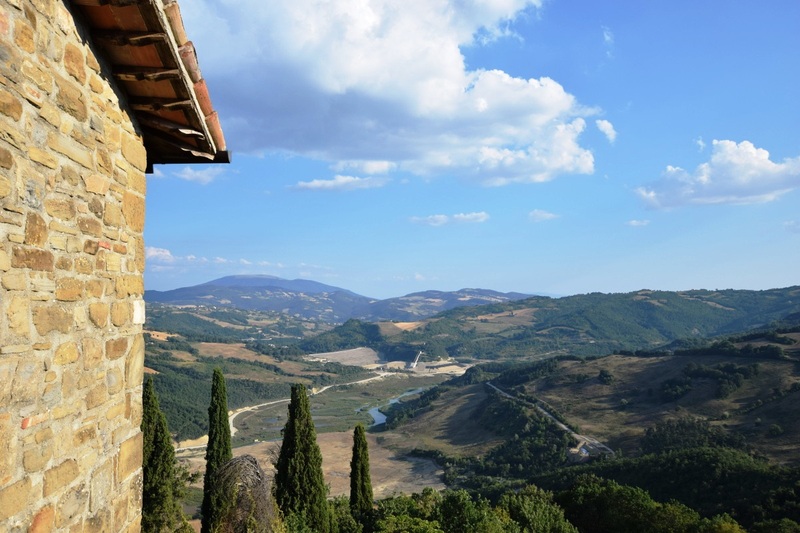 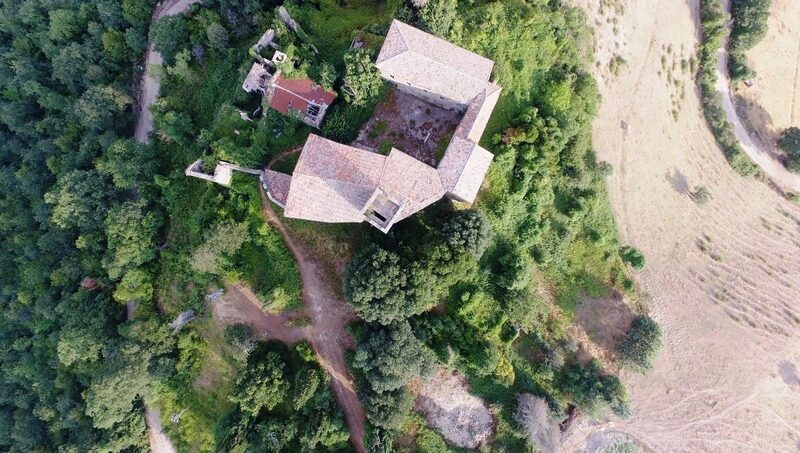 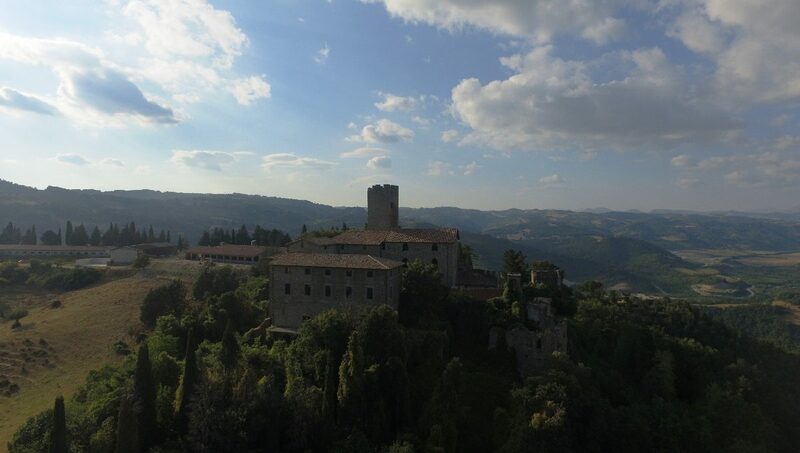 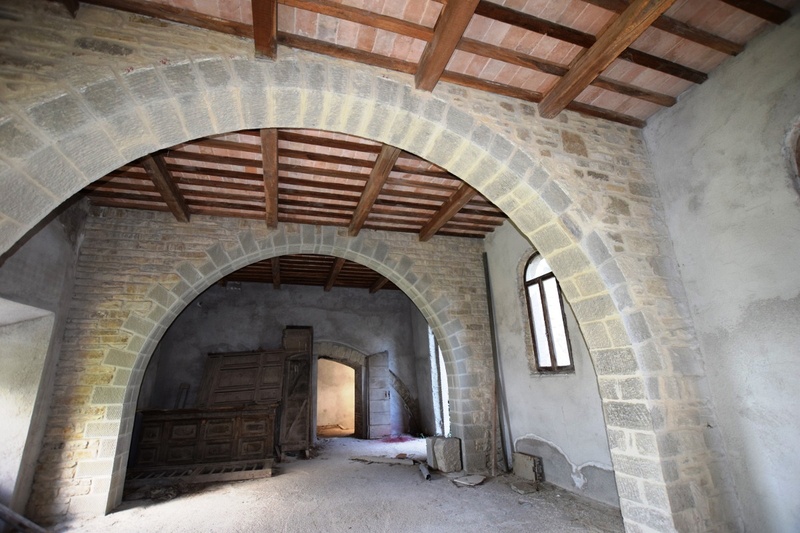 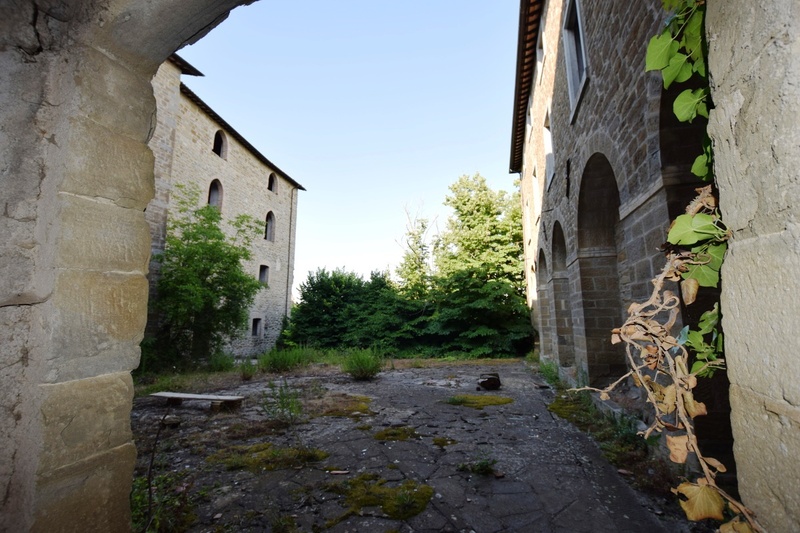 The castle is located in an enchanting position with a breathtaking view especially from the first to the third floor and not to be overlooked in the short term predominantly over a huge reservoir being completed. 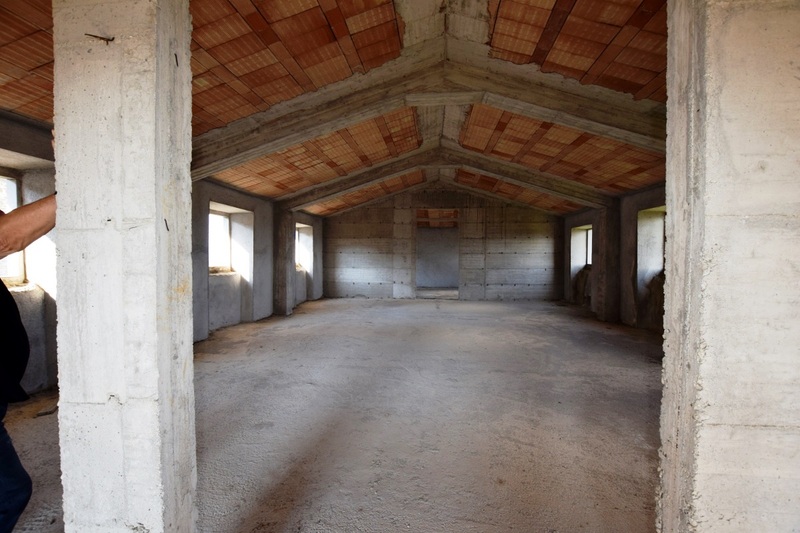 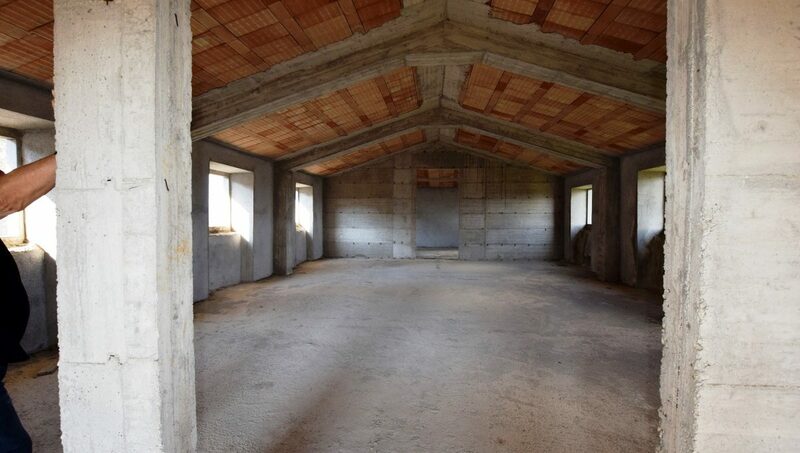 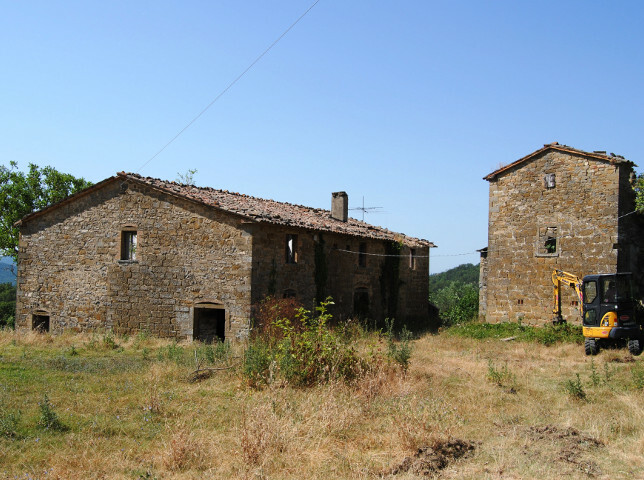 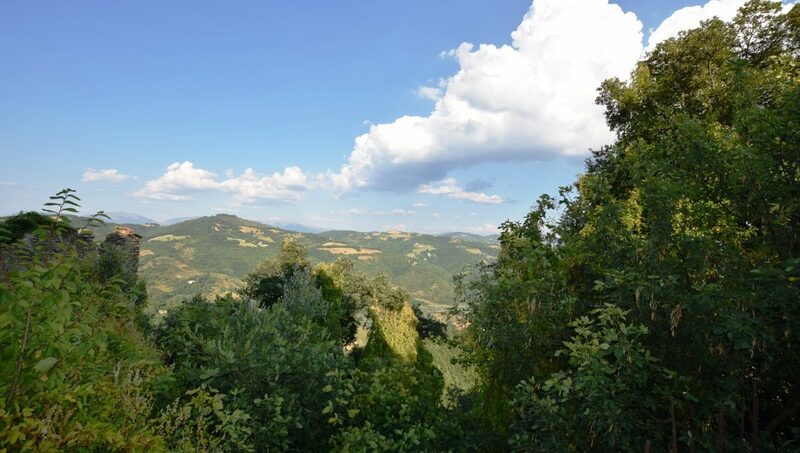 It is accessed by a wide and totally paved municipal road with the exception of the last 400 meters. 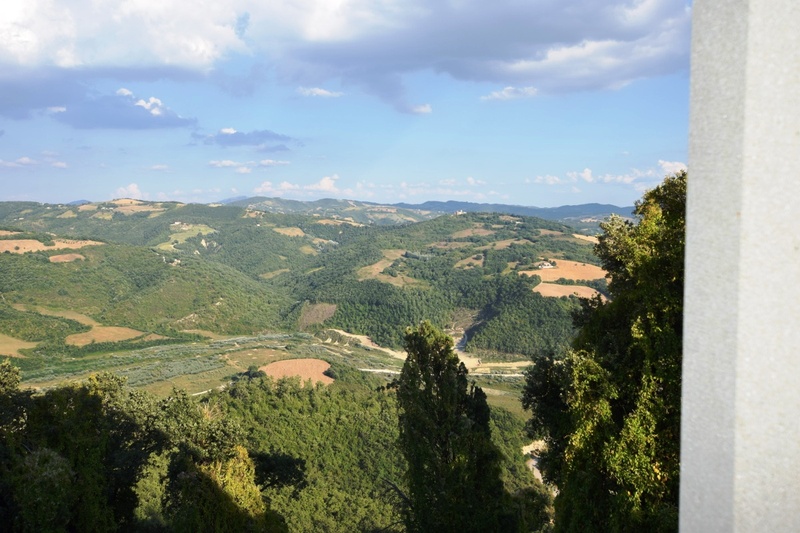 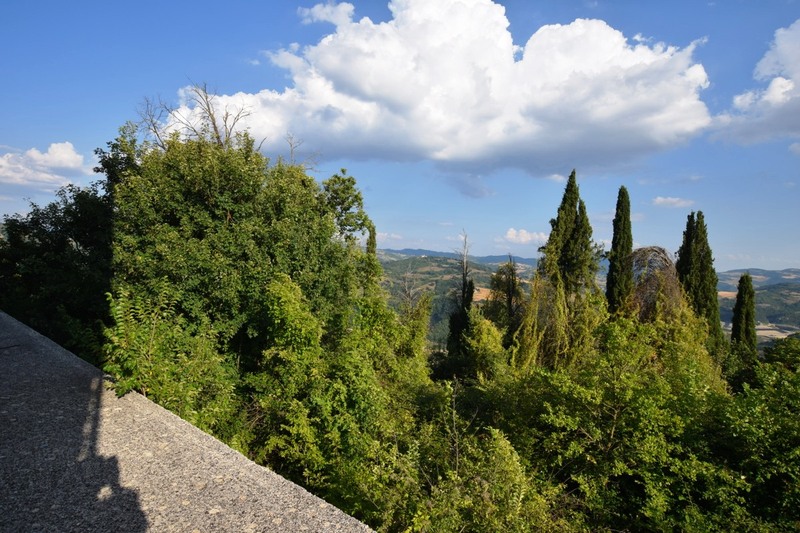 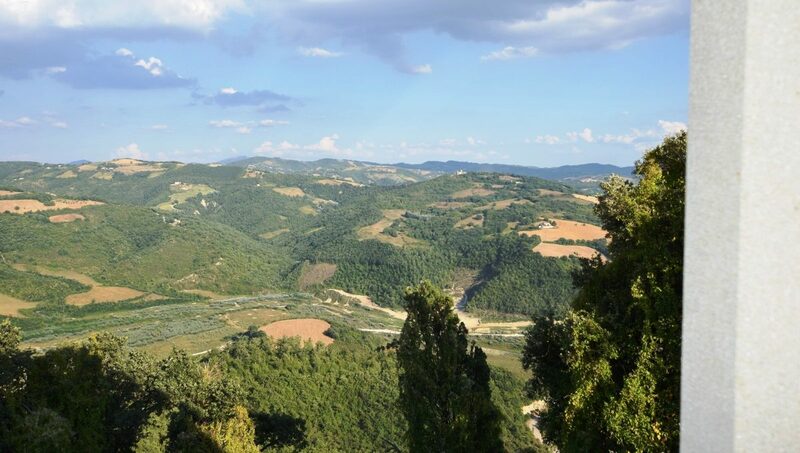 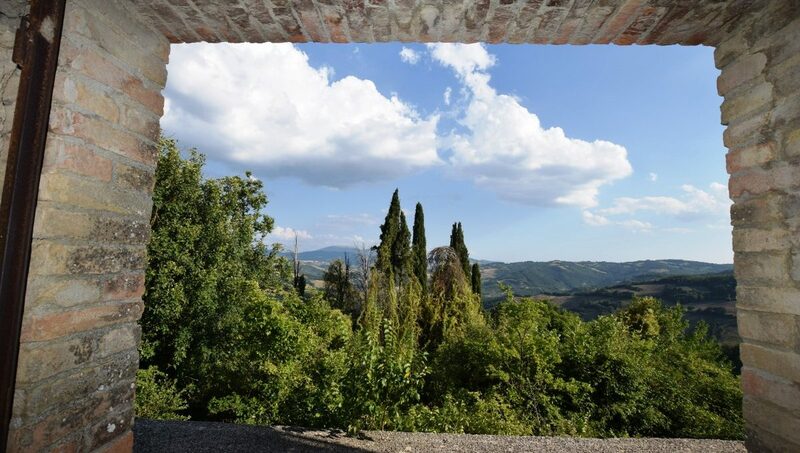 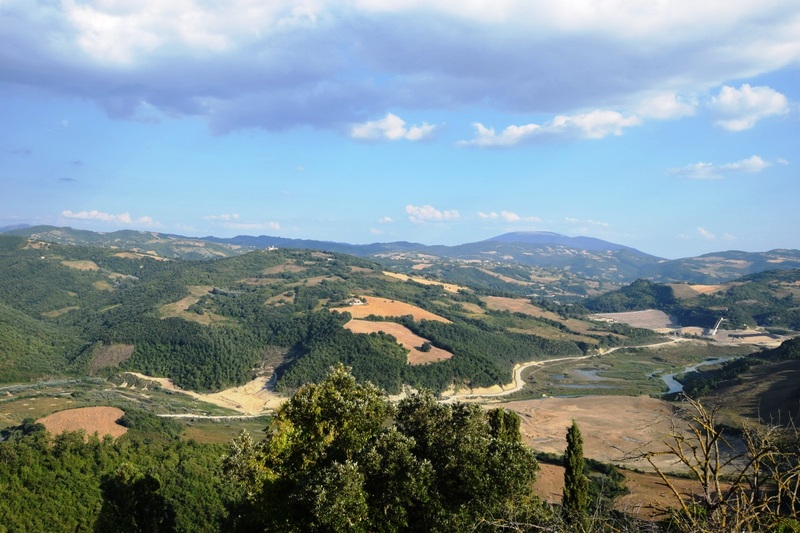 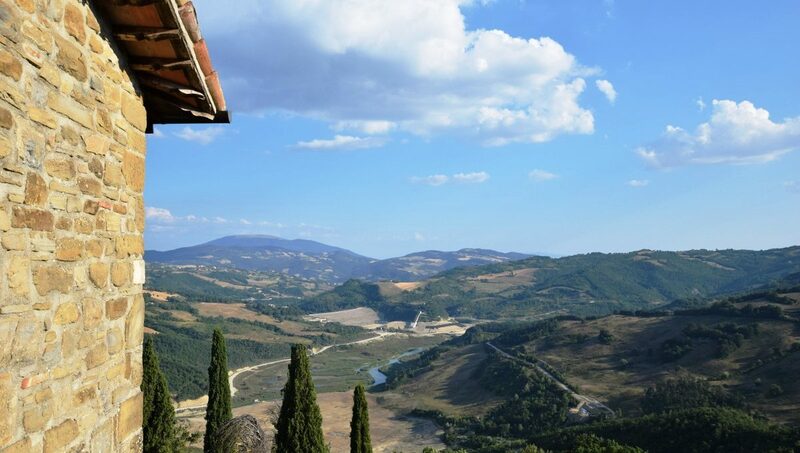 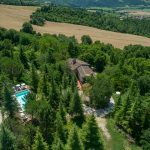 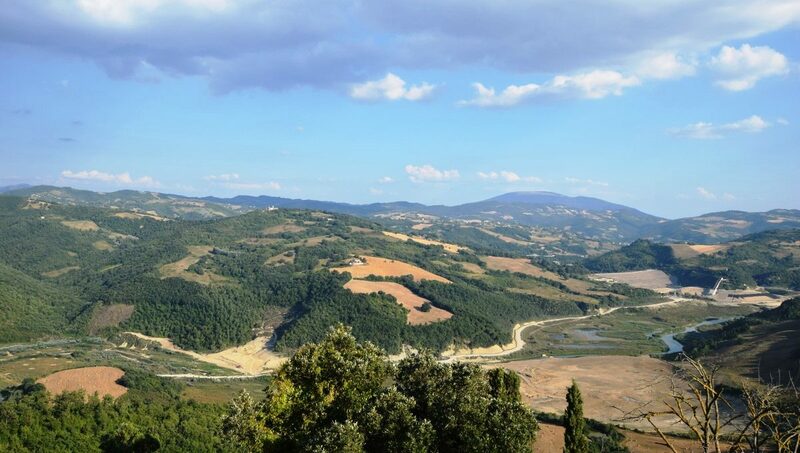 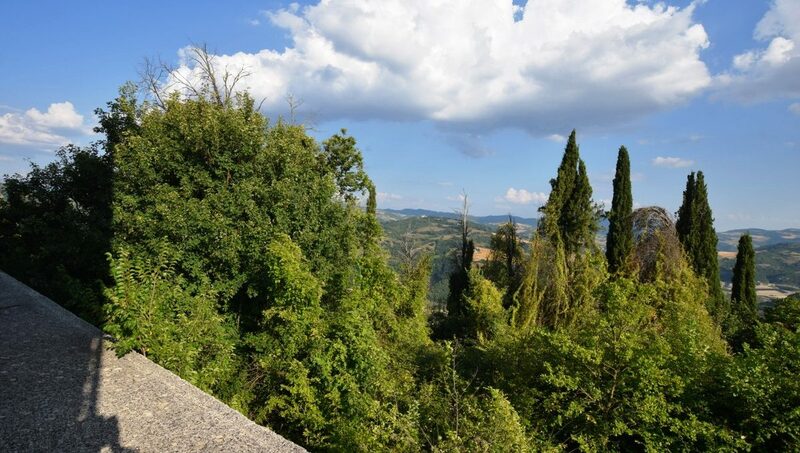 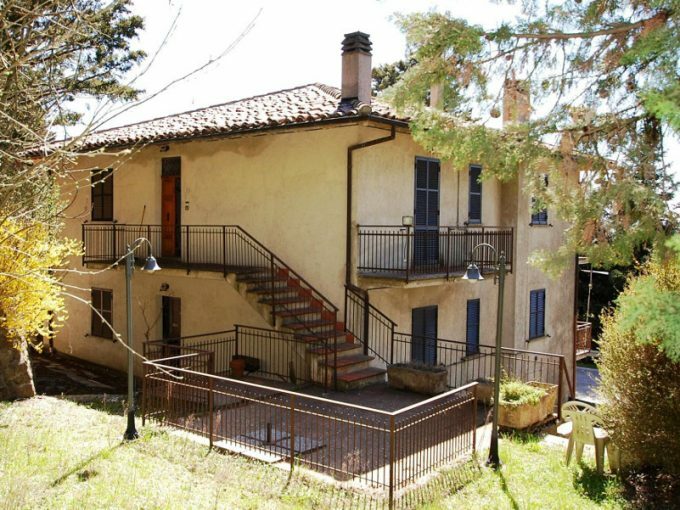 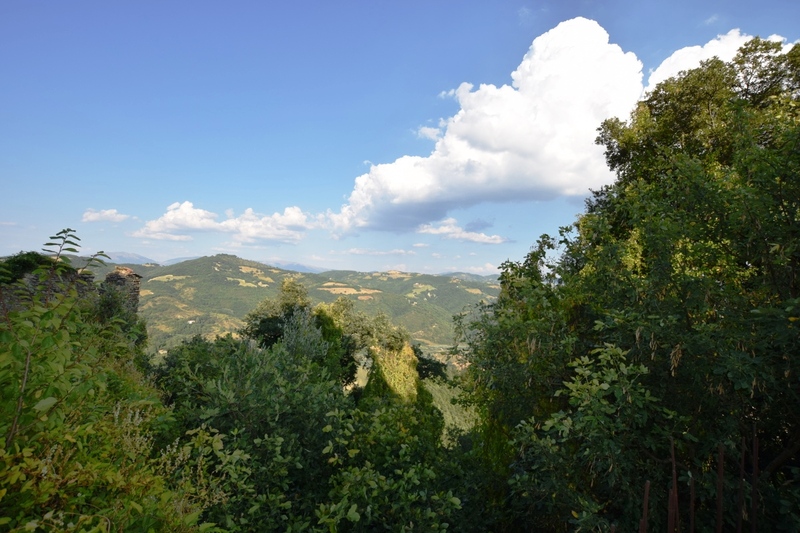 Just 16 km away is the Perugia Ancona highway from which you can reach both the A / 14 motorway and the A / 1, and the Umbria International Airport is 28 km away. 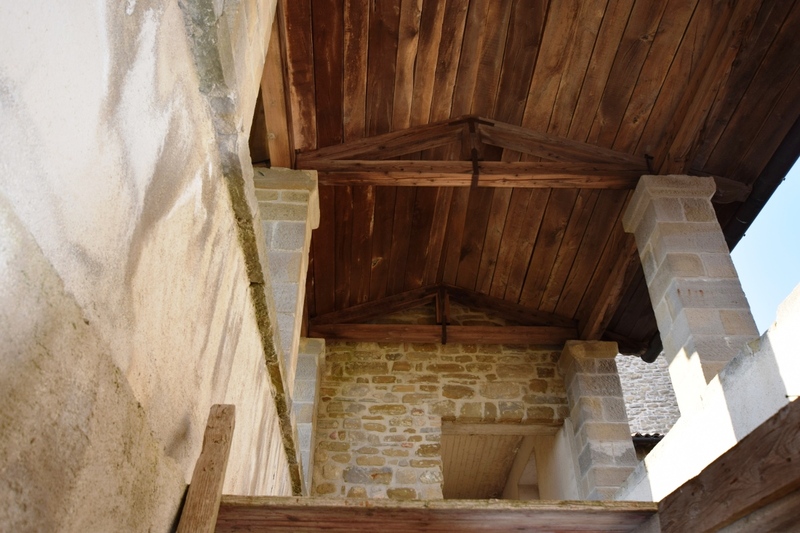 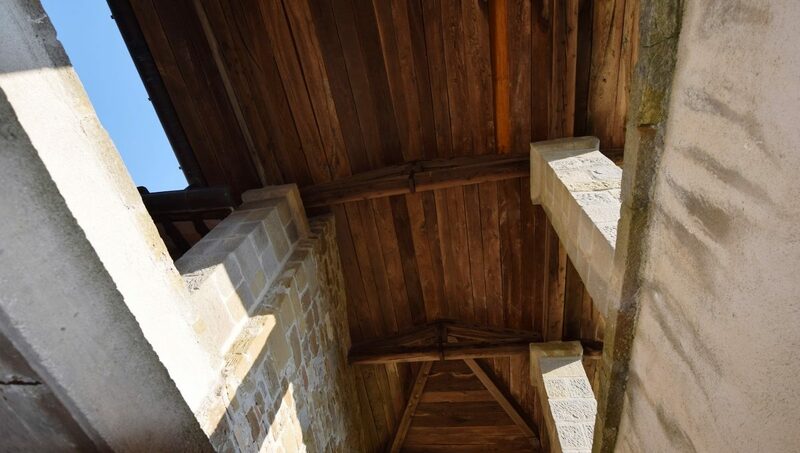 The castle at present requires some minimal structural interventions in the roofing and in some merlons of the main tower. 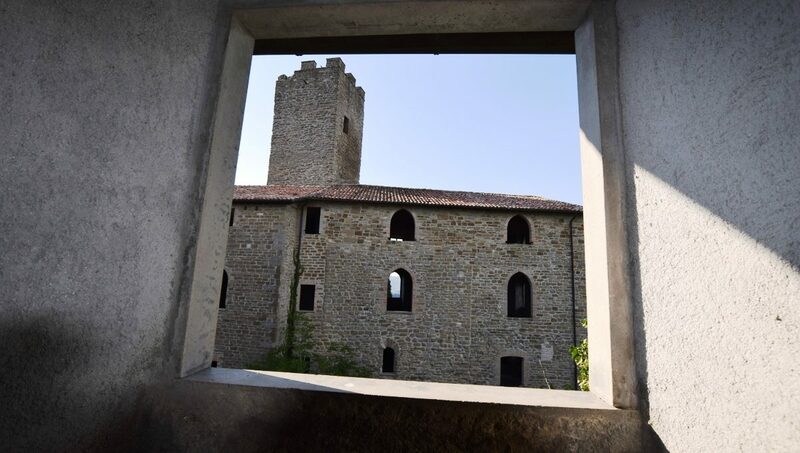 We do not go into the historical description that starts from the 900 although it is the pre-existing castle on that date.